Think Progress has identified the smear tactics by placing them in two categories: false and irrelevant. Thank you for posting! "False and irrelevant" are exactly the categories I would use too. 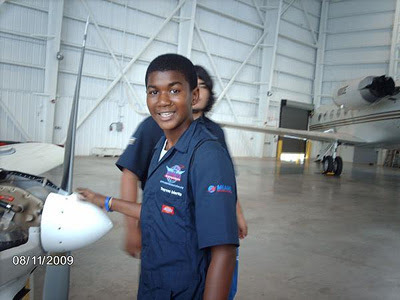 The whiplash in the media from illustrating Trayvon as an angelic kid to demonizing him and backing Z is outlandish. The kid is dead, if for no other reason than Z got trigger happy the moment he lost control of the situation (a gun should not have been in the picture in the first place, in my opinion). It's tragic, and should go to court to be tried by judge and jury. This was at the very least manslaughter, in my opinion. Shame on the Stanford police for not doing their job. Shame on the PD for covering up the story. Shame on media outlets like ABC for perpetuating lies about Trayvon by posting facebook pictures that are clearly not THIS Trayvon Martin. Shame on whomever leaked the police report to media outlets. Shame on the extremists for firing up a dangerous race war. Shame on America for letting our society become this. Thank you for including the above picture, even if it is from 2009. Since there seems to be arguments about what really happened, I think part of process of finding out the truth is learning about the personalities or the character of those involved. In court, sometimes a close friend or family member can testify of the character of the person accused to help prove whether or not a person committed a particular crime. I think digging up the past on both Zimmerman and Martin are appropriate. That being said, why would the media, 95% of the coverage, show 5 year old pictures of the people involved? We live in an age where people post even damaging photos of themselves, publicly accessible, and yet they chose to portray 17 year old Trayvon as an innocent looking 12 or 13 year old. To me, That is outlandish. I don't think it's a smear campaign, like people are saying. Truth is truth, and pictures help tell the tale. Why did Sybryna Fulton say They killed my son instead of he George Zimmerman killed my son? May God have his way in this matter.